Cub Scouts is adventure, family, fun, and character development for boys and girls grades K-5. Blue and Gold celebration (Scouting’s birthday) is February 2nd. Please respond to the Evite to help us best plan. We’re planning a Color War Games super fun afternoon. Class Bs and athletic wear please. Don’t forget the game themed cupcake contest with prizes. Pinewood Derby is March 3rd. More info and rules also in the Knowledgebase. Lastly, Winter Camp is coming March 8-10. Look for your Sign Up Genius invite in your inbox soon. This is a magical, technology free weekend at rustic, cozy and carefree Camp Marin Sierra. Snow play, smores, board games and memories….There are 40 spots available. The Lion Pilot kindergarten program is complete, and BSA has announced that Lions are the newest permanent addition to Cub Scouts! Lion programming is tailored especially for kindergarten-age boys and girls. Lions must be 5 years old by September 30 and not yet 7 years. 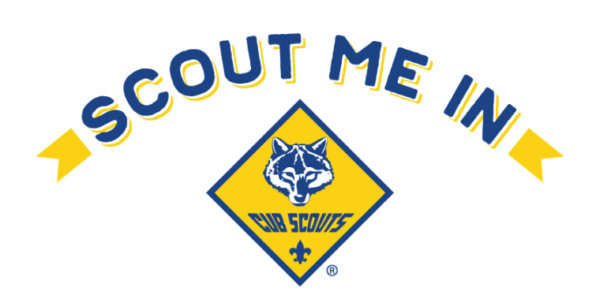 Pack 76 has joined the new Family Scouting movement. Like most Scouting organizations around the world, BSA now offers Packs the option to welcome both boys and girls into their Packs. We’ve had plenty of sisters as “honorary Scouts” for years, and we are thrilled to have them join our ranks in uniform and officially earn their ranks. Use Scoutbook.com to track your Scout’s progress, communicate with the Pack, and learn about upcoming events. All membership dues and special event payments can be made via Paypal.